Wait, what, there’s a new taco joint in our backyard? Please, twist our arms to try this one. Crave Cantina opened just a few weeks ago, a spinoff from the same owners of the Akron-based restaurant of close-to-the-same-name, Crave. We see what you did there, owners. The new Cantina is located in the old Firehouse restaurant on Front Street in downtown Cuyahoga Falls, which looks like a war zone now (note to ladies, heels may not be the best choice for navigating the walkway from any parking area to the front door, trust me on this one) but once the street renovation project is completed should be fabulous. Speaking of parking, it took us a hot minute to find a lot and a spot – which of course caused us all to think there would be a wait for a table once we finally got into the restaurant. And the hostess didn’t help things much, as we’ve learned the hard way that being greeted with the question “do you have a reservation?” typically leads into the “well, unfortunately we currently have a wait until about 2025 if you don’t have a reservation” let down. Especially when a place is less than a month old. But luck was on our side this evening, as our “no” to the reservation interrogation was followed with “OK, well follow me this way.” Yes, please. Gladly. Also, it should be noted that we don’t do reservations for WTGW. Well, except if you’re Ted and you want to check out Gus’s Chalet. Just saying. Our first observation after we were seated was that they definitely put some energy into changing the place up from its last incarnation as Firehouse. Let’s just say that our few experiences at that particular establishment were not good ones, so noticing that it was freshened up – and cleaned up – was a good sign. Although we did notice that the wall on the one side of the back area where we sat – which you’ll see in the pic of Ted later – looked a little like the street outside (maybe they’re waiting to match it to said street? ), but other than that the place looks great. Crave is also part of this new trend of “fancy” Mexican places, where instead of the generic menu-that-could-be-placed-at-any-Mexican-place-in-the-city-involving-dishes-made-from-a-combination-of-rice-and-beans-and-some-sort-of-corn-or-flour-shell-filled-item, everything is pretty much a la carte. Tacos with interesting fillings are individually purchased at $3 or $4 each, and then you can add sides if you like. There are a few entrees, and some intriguing appetizers, but the focus is more on creating combinations of your own than a standard menu. Which also means … no free chips and salsa as soon as you sit down. 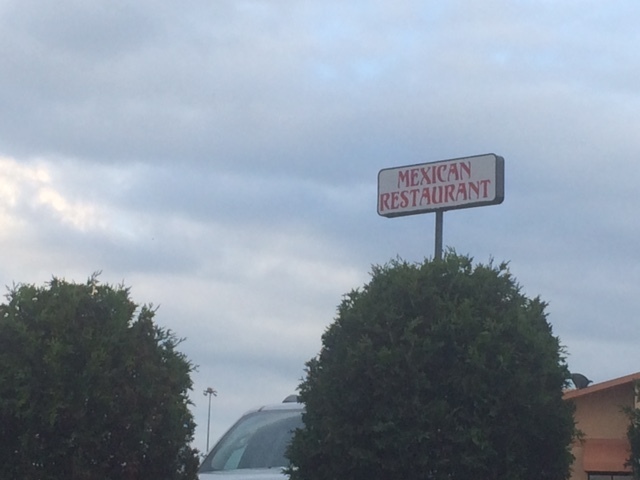 This is one part of “fancy Mexican” I certainly can’t get behind. Because of this, and the fact that (as usual) we were “hungry enough to eat the entire menu” as soon as we got there, Shane and I ordered the chips and quacamole as an app. We did the trio of three different guacs: traditional, mango, and charred corn. 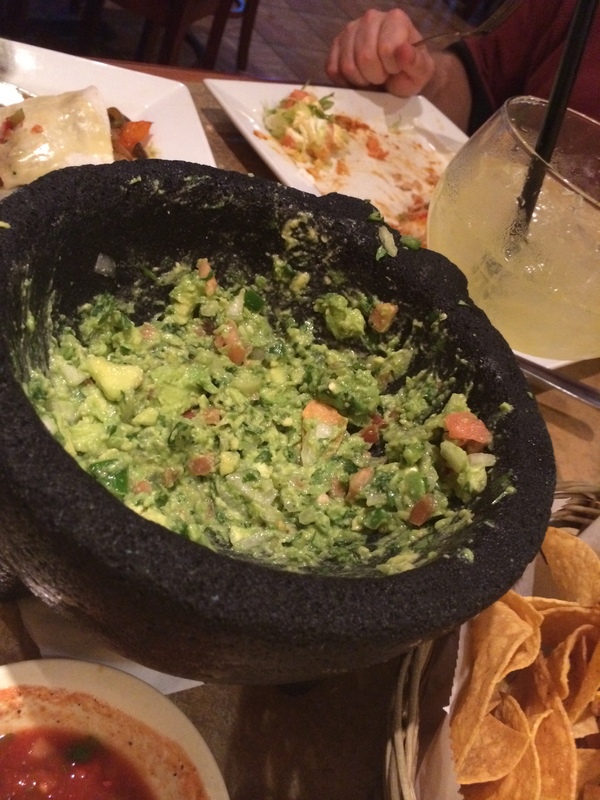 Unfortunately it seems that we probably could’ve stuck with just one guac option, as they all tasted the same to us. And trust me, we tried really hard to make comparisons. But we honestly felt they were all extremely similar. Three bowls of green dip, with nothing much to distinguish one from the other. Well, OK, one had some chunks of mango on top. But if you closed your eyes and just did a taste test, it was very difficult to tell one from another. Also, chunks of corn are surprisingly similar to chunks of mango when placed in a green substance. Just an observation. Meanwhile, on the fancypants side of the table, Ted went with the Yellowtail Cerviche as an app. And yes, I had to consult the menu online before I typed that. He was far more pleased with his app than we were with ours. He gave it a thumbs up, saying that the sweet potatoes on top were tasty, and the nuts (at least that’s what he thought they were?) were a good contrast. And the dish as a whole was sweet. You know, unlike other dishes we’ve had in the past. Yes, I just made another Gus’s Chalet reference. It was that kind of night. We also, of course, got margaritas. 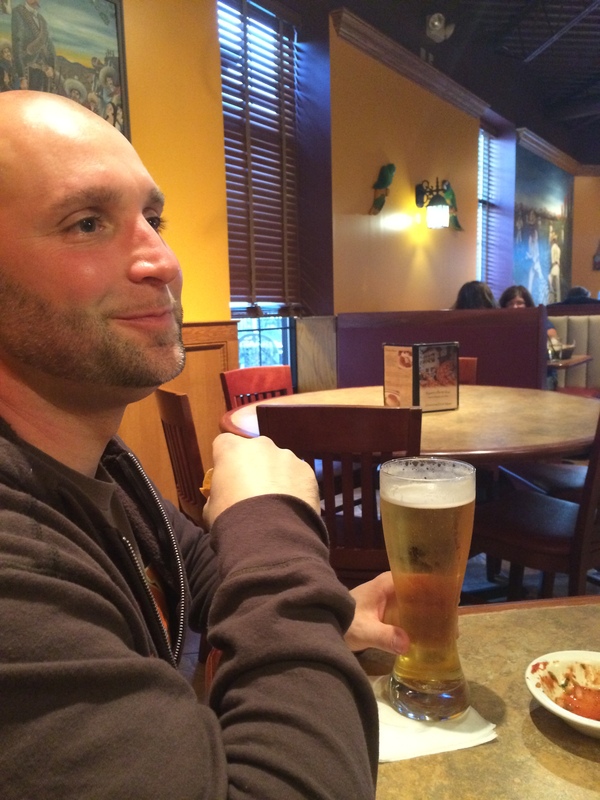 Or, at least Shane and I did – Ted made up for his highbrow appetizer by ordering a boring old beer. Boo. We shared a pitcher of passion fruit margaritas … which, strike two for us, I guess, as we weren’t thrilled with the flavor. The taste – what there was of it – was a bit tart. I probably wouldn’t go that route again. I mean, don’t get me wrong, we still finished it. Please. But for next time we made a mental note that we should probably try something else from the drink menu. Maybe Ted was smart after all. We also got this lovely bottle of water for the table. This is awfully classy for a Wednesday night out, people. I mean, it has a cork in it. And it’s water. Although Shane pointed out that if the bottle were plastic and not glass he would probably have thought they just recycled one of those old cheap vodka bottles with the built in handles on the sides. Point, Shane. For meals, Ted again got something I can’t pronounce or spell, so let me consult the online menu … Pollo la Braza. Which I think must translate into “entire chicken on a bed of fried plantains.” And also without flavor, according to Ted. He said he expected it to be spicier, but if was almost like just a rotisserie chicken with rosemary flavor. And the fried plantains (wait, that’s what we were calling them all night … but it turns out after I look at the online menu those were actually yucca fries. Are they the same thing? I took German in high school, folks. Spanish is lost on me) Anyway, those were good as long as you used the sauce on the plate to dip them in. He definitely preferred his appetizer over the main dish. Shane and I went the taco route. I got three total – although in retrospect I should’ve only gotten two. When we asked how big the tacos were – because at these places they can be anything from two bites to the size of a frisbee – the server told us they were about as big in diameter as one of the small plates on the table. So either she was off on her comparison, or – more likely – I was using hangry eyes when I ordered, because the tacos we got seemed far bigger than the size of those dishes. Bigger is better? No? In any case, I chose the chicken, the chorizo and the ground beef. I was too hungry to note which was which. Sorry. Shane was in the same bottomless pit of hunger boat as me, and got five total – two brisket, one chorizo, one buttermilk fried chicken and one flank steak. Come hungry, leave happy. Wait, wrong restaurant. I also got a completely unnecessary side of rice. Because, again, eyes bigger than stomach. I should also point out that this side was the one and only thing that I could probably walk into any Mexican place and obtain. So I wasn’t really missing out on much by not finishing that. Extra food. Because we never have that at our table. I liked all of my tacos. The chicken one had good flavor all around, but the other two got most of their flavor from the sauces and not the meat. That being said, I would still order them all again, but I would also really like to try some others on the menu. Shane adamantly disagreed with me about the chorizo. He thought it was lacking in flavor overall. He thought the buttermilk fried chicken and the flank steak were the best of his – he said would’ve been happy with just those two and maybe one more as far as being full, but definitely those two in terms of flavor. The others were a disappointment in comparison. Thus followed a conversation about the merits of eating the best food first versus last – as Shane had eaten his two best tacos first, since those were the ones he was the least sure about and thought he would like least, and then was stuck with the actual least liked ones to finish things out. See also: why I’m prone to taking a bite of each and then deciding what order to eat them in. Don’t judge. Overall Crave Cantina is a decent place. The service was good, although we think our server may have been new to the business since she was a bit timid (I mean, come on, even though we were hungry we’re not that intimidating … usually …) but she was still OK. And while we were a bit hit and miss on our meals and drinks … the concept and the space (and the fact that they’re kind of still getting their feet wet at this location) are enough to make us want to come back and try out some different things on the menu that we passed up this time around. It reminded us of places like Bomba in Fairlawn or Barrio in downtown Cleveland, where the tacos are all interesting and different and you want to try them all since they’re all only a few dollars each. 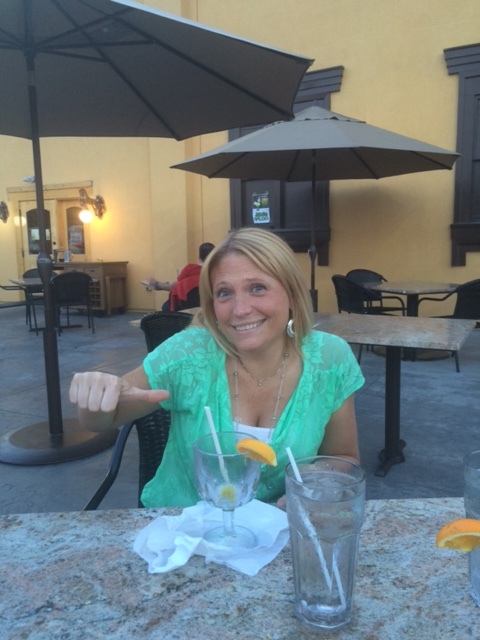 Frugal + options = a thumbs up in our group. Ted. And I wonder if they’re taking suggestions on what to do with that wall? Alternate title to this post: always judge a Mexican place on their ability to make margaritas. So, since Ted was enjoying a week in Florida and didn’t even consider the option of flying back just to participate in WTGW (boo, hiss), I took advantage of his absence to choose one of the lesser chosen WTGW ethnic foods – Mexican. You know, because they usually slather everything in cheese, and we all know by now that’s like Ted’s version of hell. Needless to say, since tonight was not a Tuesday, nor were the tacos $1.00, it was a little less packed this evening. Just keep that in mind as you read on. I noticed on the specials board as we entered that they were featuring a pumpkin margarita. My initial reaction was that that sounded kind of interestingly gross … but then I thought what the hell, it is fall after all, and if they can pumpkin out everything from cream cheese to potato chips, I may as well give it a shot. Let’s just day I should’ve trusted my first instinct. The best way I can possibly describe this drink is that is looks like butternut squash soup, but tastes like tequila with a bit of a spice aftertaste. Margaritas should not be this color. Ever. 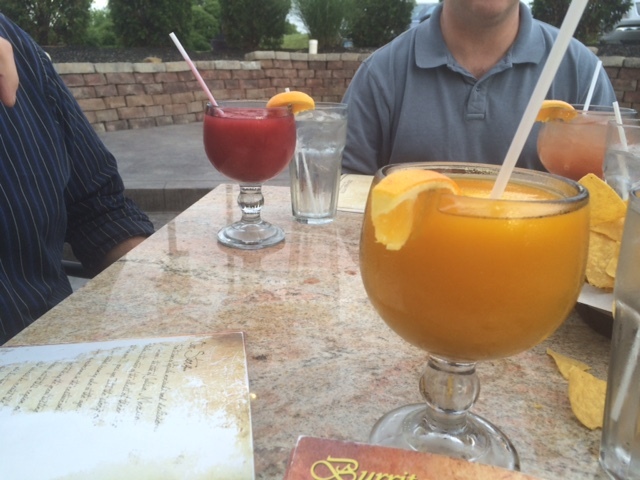 Shane and Jerrid both opted for the mango strawberry margaritas. And I was extremely jealous … until Shane eventually took pity on me sitting there sullenly stirring my margarita and traded his mango strawberry for my pumpkin. Not because he thought mine was good, mind you, but more because he was worried I would waste alcohol. Priorities. Yeah, well, the mango strawberry isn’t much better. It was basically a crapload of tequila, with a little bit of some fruit flavor that tasted neither like strawberries or mangoes. Better color, not better flavor. So that begs the question, how can you trust a Mexican place that can’t make a good margarita? It’s like sacriligious. 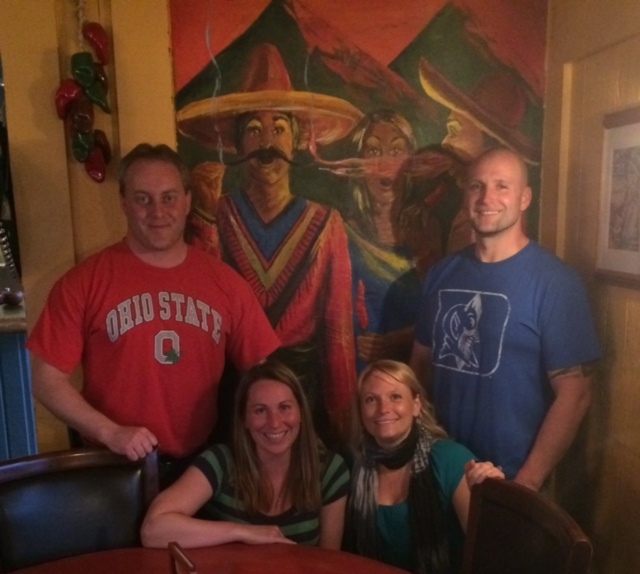 It was about this time that Amanda realized she and Jerrid had actually been to Tacos Mexicanos once before, back when the place first opened … and they didn’t have their liquor license yet so they couldn’t serve alcohol. I might suggest they go back to that idea until they hire a bartender that knows more about mixing drinks. Until then it seems they’re just wasting cheap tequila. So onto food. Since all the pictures kind of look alike (as you’ll have at a Mexican place), I’ll try to keep these straight. Amanda got the burrito Mexicano. Jerrid got the beef chimichangas. I got the fire burrito. 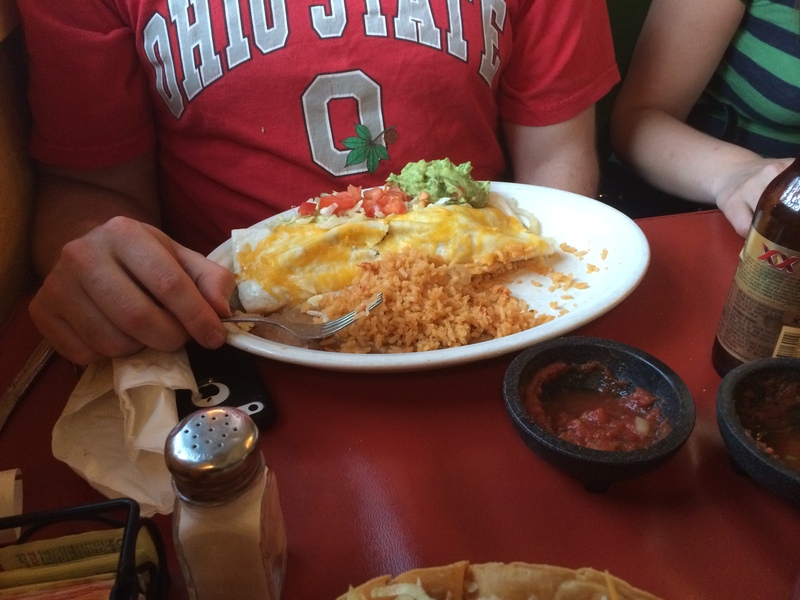 Shane got the quesadilla skillet – after much debate since they didn’t have his usual fajita quesadilla. All of the above was just OK. None of us really had anything much specific to say about it – I mean, it was typical Mexican food. Put lots of meat, sauce and cheese into or on top of a tortilla shell, then serve with rice, beans, more sauce and more cheese. Repeat. Shane did mention that his quesadilla could’ve used more filling. And I will say that I agree with that. Mine in particular was pretty much just shredded chicken inside the shell, no veggies or sauce or anything. Because that screams flavorful. Although somehow that did make it super hot. Must’ve been the sauce on the top – and maybe I should be glad there was none inside, because wherever this heat was coming from, it was most certainly enough. And before all you smartasses point it out, yes, I know that I ordered the “fire burrito.” Clearly they got one thing right in this place with that title. Just one. Also, the irony of the lack of a good margarita to wash this down was not lost on me. So already we have two strikes … let’s just add one more with the service. 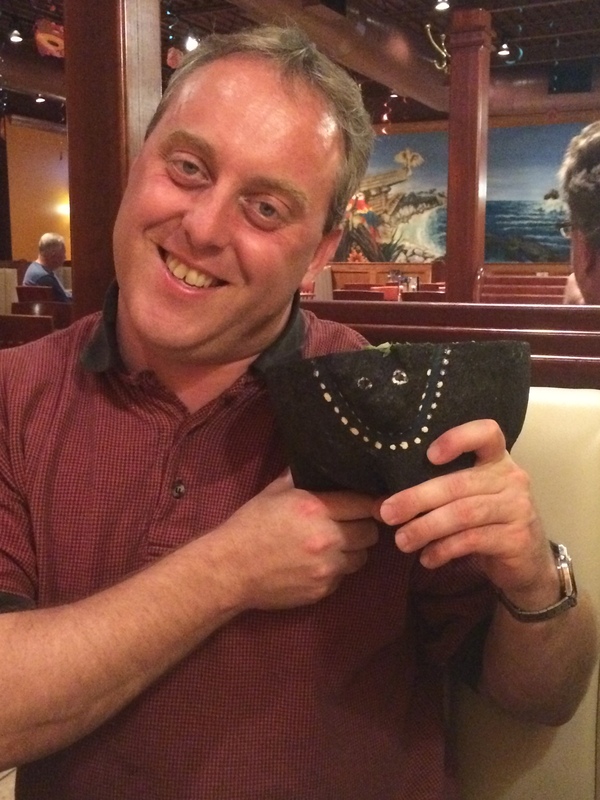 For starters, part of the reason we – and I assume about half of America – go to Mexican restaurants is for the promise of never-ending free basket of chips and salsa that just seems to regenerate at your table nonstop all night long. Well, let’s just say don’t arrive here hungry. As usual, Amanda and Jerrid had been there for a little bit before Shane and I arrived, and were almost through the first basket of chips and bowl of salsa when we sat down. So you’d think when the server noticed two new people joined the table they would bring more, right? Yeah, no. We waited. And waited. And ordered our drinks. And waited. And ordered our meals. And got our crappy drinks. 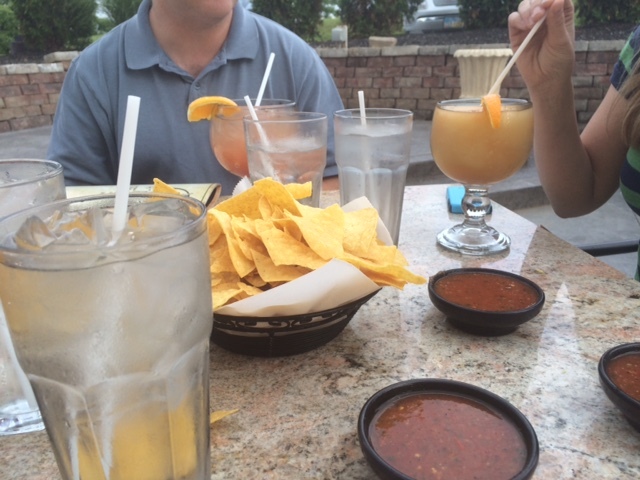 And then FINALLY someone asked if we wanted more chips and salsa. Um, yes. Was it that fact that we were pretty much fighting over the tiny scraps and crumbs at that point that tipped you off? And then one our food arrived, Shane was waiting on his side of guac for almost as long as the refreshment of chips – and keep in mind he won’t start eating his food until he has it, so you’d think the fact that one plate was untouched at our table would be cause for a server to stop and ask how we were doing. But once again, you’d be wrong. I guess the moral here is to stop thinking. So by about 7:30PM, the place was pretty empty, only us and about two other tables. And yet the service didn’t get any better, considering they had fewer tables to check on. Did they send the servers home with the guests? Were there bartending lessons going on somewhere? (that I might be able to forgive, just sayin) Do they keep the actual good margaritas in the back and the servers go back and get sloshed on them after 7:00? It’s a mystery, folks. And one I’m not interested in going back to find out the answer to. No, your calendars aren’t fooling you – we did skip a week of WTGW. With Ted out of town for work the week of his pick and a crazy tornado outbreak in our area, we decided it might be best to hunker down at home instead of venturing out. Call us rational, I guess. So, fast forward to this week, when I get a text from Ted debating between two destinations for this week’s pick. 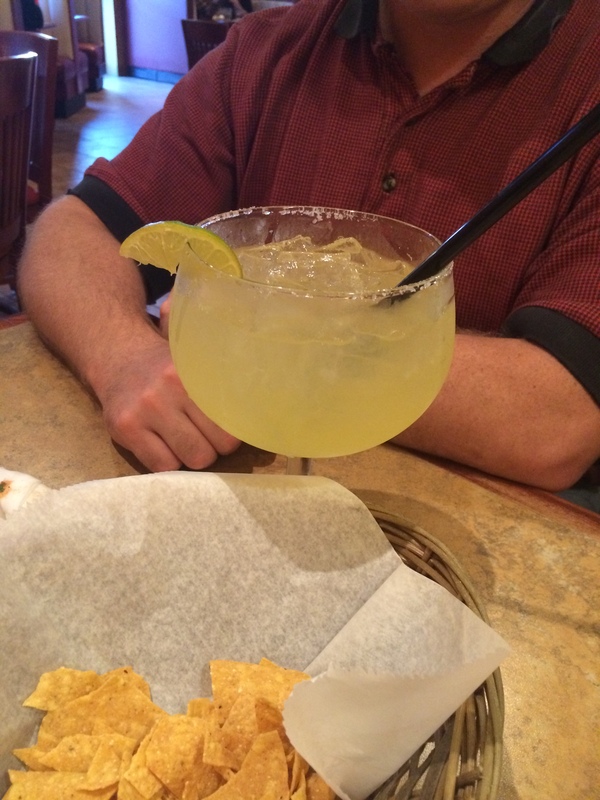 When I clicked on the link he sent me for Nuevo Acapulco via my phone, it took me to a landing page touting that “the tower of beer or margaritas is back!” I immediately told him that’s not a nice thing to send to someone at 5:30 pm on a Tuesday. And that I didn’t care what the other option was because this place wins, hands down. Only it turns out he didn’t send me a link to the right website. The waiter’s blank stare when we asked about it gave that away pretty quickly. And honestly, I’d like to link to the page here … but we still aren’t really sure what the correct website is for this location. Google it, you’ll see what I mean. On another note, Amanda also thought from the name of the place that we were going to some new Mexican restaurant downtown with a rooftop patio. So clearly we were all confused. In any case, this place is just off the circle in Tallmadge, in the former Erie Station Grille – and still has the old sign on the side of the building and the train cars on the former tracks outside. 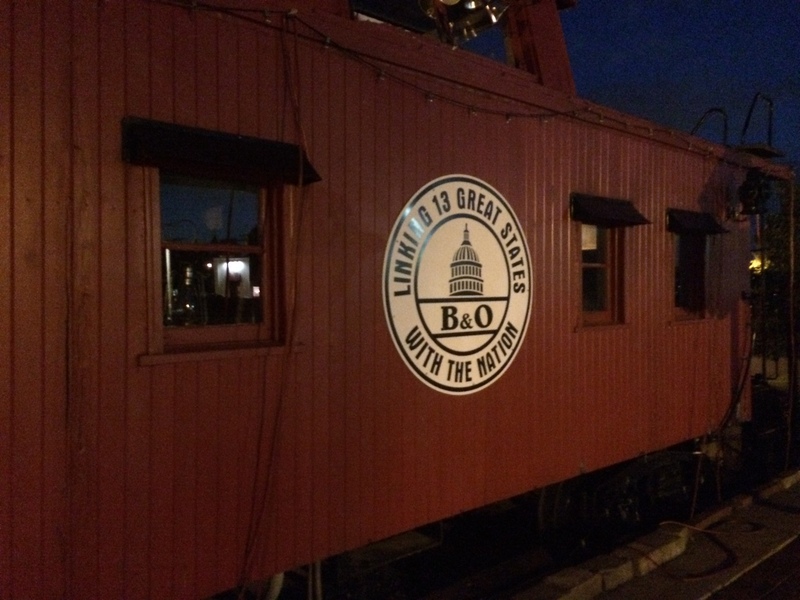 Because nothing says “Mexican restaurant” like a portion of a railroad train positioned just off the patio. Hey, if it’s already on the property, why move it right? Oddest Mexican restaurant patio ever. The place is pretty large inside, and it wasn’t by any means full or overly busy. But we still had to wait a hot minute for a table to be bused for us. Hmm. We’ll call that strike #1. Our waiter was clearly new. 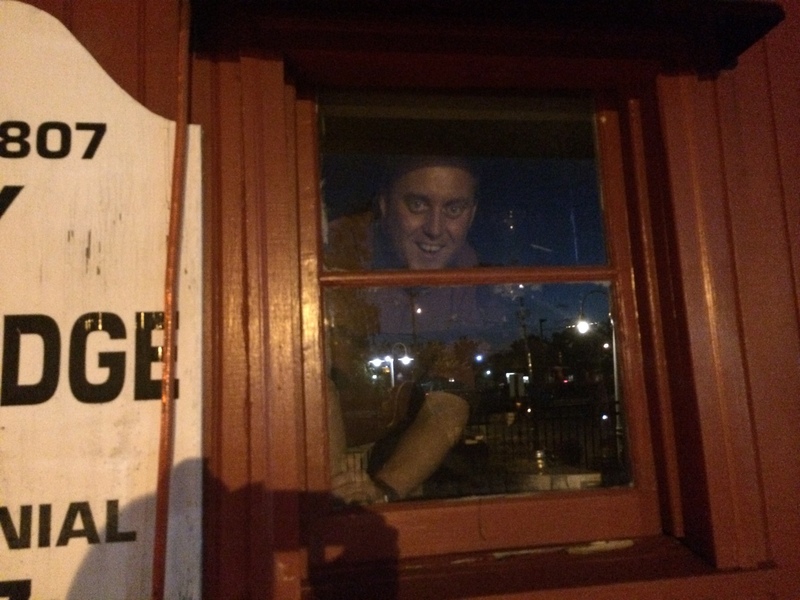 Shane thought he recognized him from another Mexican place in town – which if that was the case then we’ll probably be seeing him at another one in the near future because based on our experience I’m not guessing he left the last place by choice. Because we’ll call him strikes #2 – approximately 57. And really our biggest complaint about the place. Let’s start with drinks. 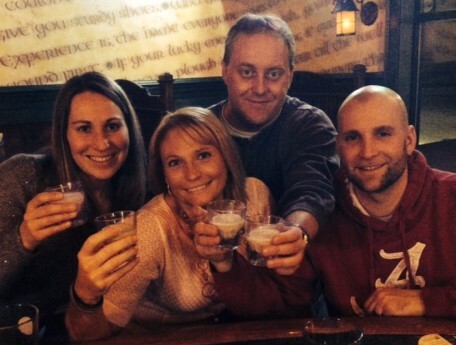 We all ordered margaritas – well, except Shane, who was trying to be “healthier” and went with a Miller Lite. For real? I mean, who a) does that at a Mexican place, and b) really touts Miller Lite for exceptional health benefits? Seriously. At least margaritas are fruit flavored. Anyway, our lovely waiter didn’t ask us what size margaritas we wanted, so we ended up with what I think must’ve been the largest ones on the menu. I mean, I know we asked about the Tower of Margaritas and all, but just because you didn’t have it didn’t mean we all wanted our own individual one. One of these things is not like the other. And for once Ted isn’t the one holding it. And another fun trick: when we got the bill at the end of the night, the price for said huge drinks didn’t match anything on the menu. Huh? We finally kind of put the pieces together and deduced that the Tower of Margaritas conversation had kind of led to talk about the different kinds of margaritas they DO offer, then Ted had asked the server about top shelf tequila in drinks … then the server just pretty much assumed top shelf was the kind we wanted. Um, no. First of all, we shouldn’t have to be CSI detectives to figure out our bills. 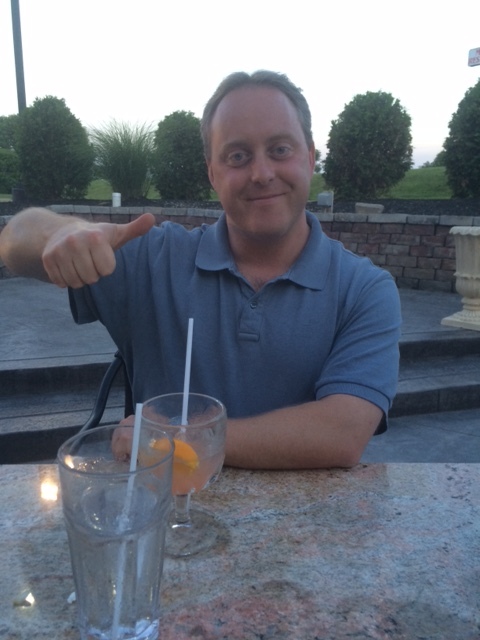 And second of all, the joke was kind of on him, since the margaritas were so strong that we only ended up ordering one each. And barely finishing them. I had mango (which probably would’ve been good if made with less tequile), Amanda had peach (which she said just tasted like tequila) and Ted had original (which I guess is supposed to taste like tequila, so score for him?). But don’t pay attention to the prices, because they won’t match anything you see on your final bill. So there’s that. Let’s move on to appetizers. We asked for the tableside-prepared guac as our appetizer, since we had seen others rave about it on reviews for the place. And then we never got it. And never even saw our server to ask about it. It wasn’t until we were getting our meals that we finally were able to remind him about the guac – which clearly he just forgot about – and to which he replied “Well, do you still want it?” Um. no, I thought I’d ask about it just for fun. Actually, it’s a little game we play where we order an appetizer and then take bets about whether or not we think it will really get delivered to us, or if we’ll starve waiting for it! Super fun, right? Tell your friends! Sidenote – the guac actually is really good. Although we all agreed we were glad it was mixed tableside, because if he had to make it fresh in the backroom I’m sure we all would’ve probably been a little nervous about what extra “flavor” he might’ve added to it in the process. I know, it looks disgusting. But it tastes delicious, trust us. At least the bowl was entertainment for us. It was like our new pet. Just after this he also told the couple at the table behind us that he “wasn’t that busy tonight, was kind of bored” – but throughout the evening he barely stopped to check on us, forgot our guac, forgot the water Shane asked for at the beginning of the meal (and when he finally was reminded and brought it later, he brought two glasses and tried to give it to another table). Other than the service things were good. We all got some sort of burrito – I had chicken chipotle (spicier than I thought it would be but still very good), Amanda and Shane both had the steak burrito, and Ted had the macha burrito. Everything was delicious, and of course we ate way more than we should’ve. Chips and salsa were replenished several times (not by our waiter, of course, but another server – thankfully, or else we’d probably still be scraping up crumbs to fight over while waiting on a second basket) and were very good. 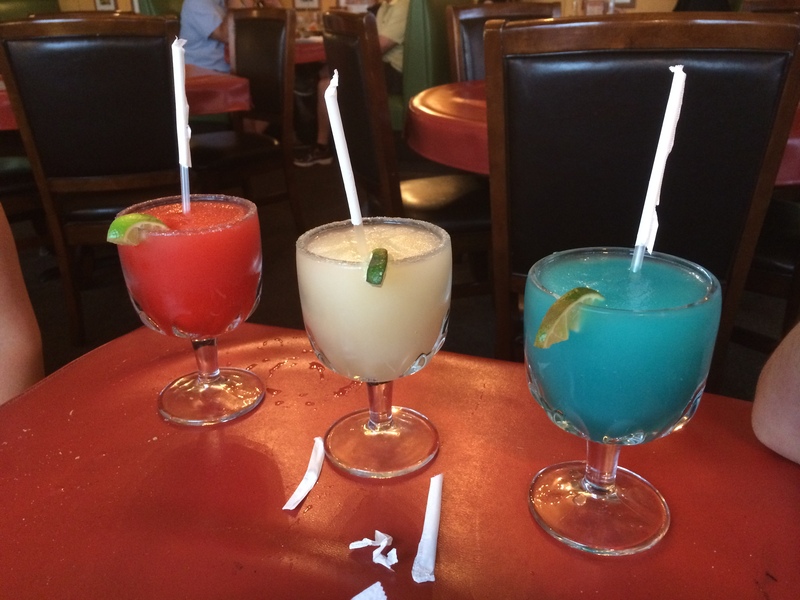 Drinks: They lose a few points for reeling us in with the Tower of Margaritas, then not actually having it. But they clearly have tequila – or at least they did, before they made our drinks. I think most of what they had ended up in there. 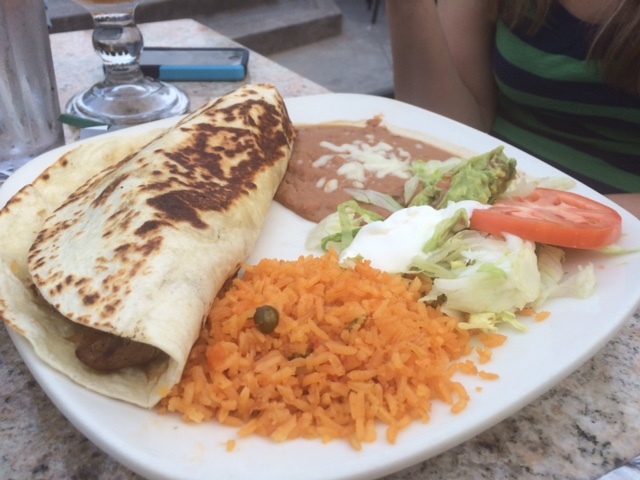 Food: Typical Mexican, and as usual good portions for a good price. 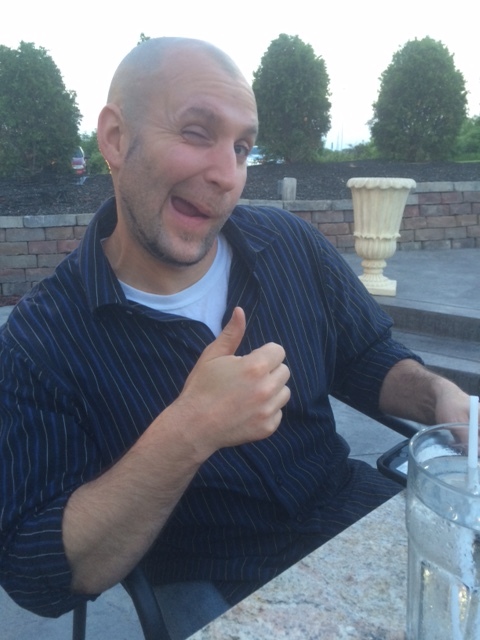 Service: Hopefully the guy we had will be on to the next local Mexican place by the time you visit, because he was the big thumbs down of the evening. Overall: Good food, not good service. 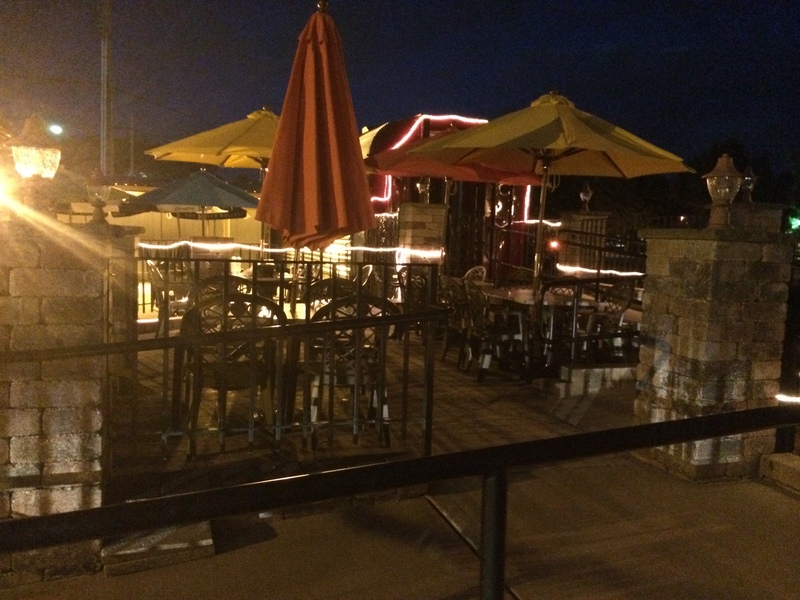 Now that it’s summer, one of our big requirements for WTGW spots becomes patio space. Because after all this is Ohio, and you know we only get about 4.25 days of real summer weather … so we have to make the most of them. However, it seems that Mother Nature is going to make damn sure that none of those days fall on a Wednesday. Because she’s a whore. So this means that a couple of places I was thinking about for this week’s WTGW got pushed back to later weeks this summer, since it was threatening rain this week and I didn’t want to chance us getting soaked. Pancho & Lefty’s actually has a decent – albeit small – patio space that we could’ve sat on had the weather cleared up. But since the skies were still iffy when we arrived, we decided to play it safe and sit inside. Let it be noted that it didn’t rain during our meal – but I’m certain that if we’d sat outside there would’ve been a downpour as soon as our meals arrived. Because – you guessed it – Mother Nature is a whore. The place is tiny inside, but it never felt cramped or overly loud. It was more homey than anything else. Maybe that’s because it wasn’t ever super crazy busy, but still. 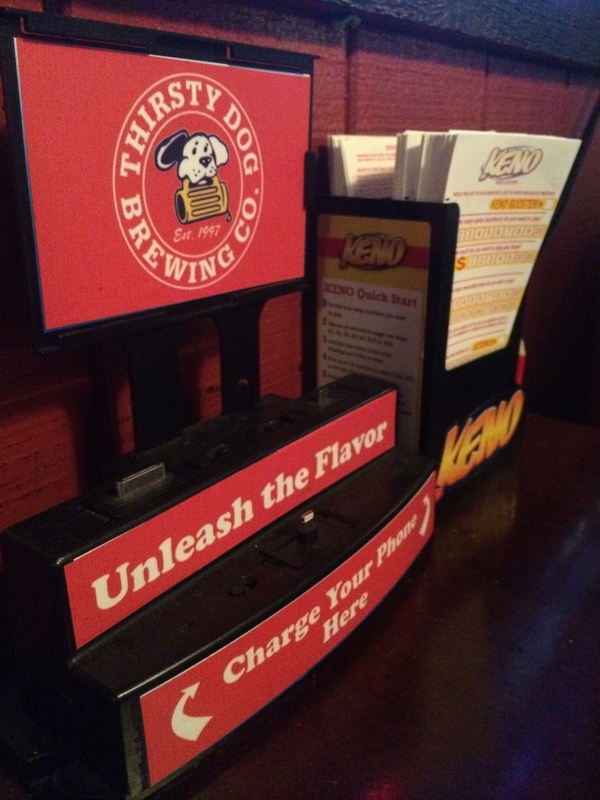 The server was very pleasant and always quick with drinks and chip refills. Pancho & Lefty’s menu features traditional Mexican fare but also more “American” things like burgers, steaks, salads, wraps, etc. It’s nice to have options. Part of why I picked this place was because I thought that would help Ted – you know, with his dislike of cheese and all. But he ordered a burrito covered in cheese anyway, then proceeded to try and scrape it all off. You’re welcome, Ted. 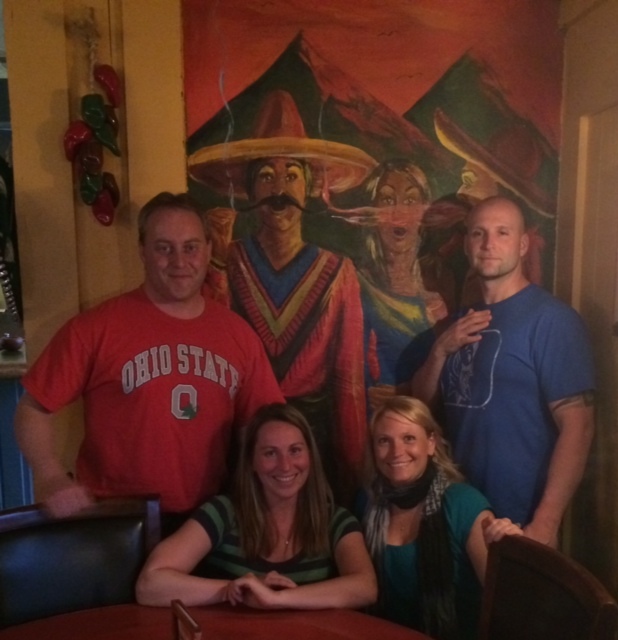 We asked about drink specials – since Mexican places always seem to have them – and were told they ended at 6. What working person can enjoy a happy hour that ends at 6:00? Hmmm. 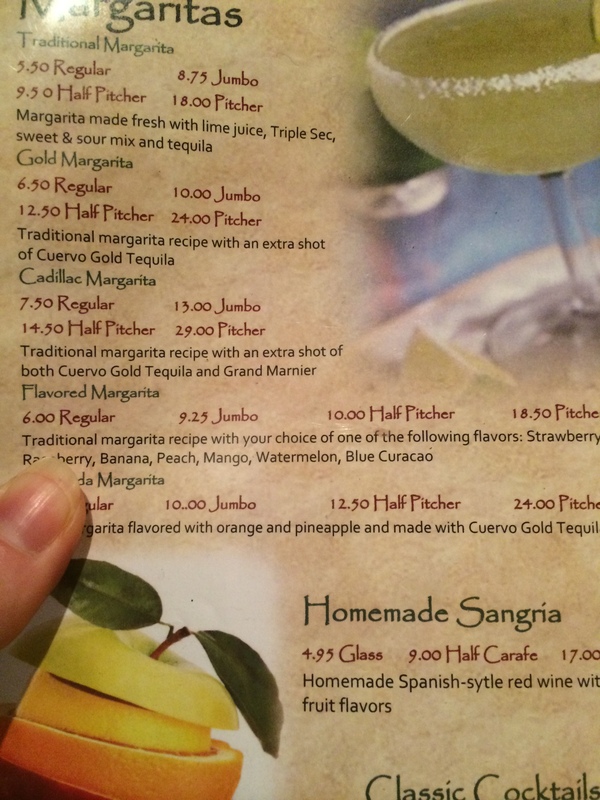 Regardless, we were intrigued by the long list of flavored margaritas – many of which we’d never heard of (pineapple? grape? cherry?) – so of course we made it our mission to try as many as possible. We even convinced Ted to break his “I have to be different” rule after his first beer and come to the dark side with us. 3:1. Guess which is Ted’s? Overall among the group we tried the orange dreamsicle, cherry, strawberry banana, watermelon, peach, mango, pineapple and – after a lengthy debate of what it could actually be – blue moon (FYI, it’s blue raspberry, not blue moon beer flavored. I lost that bet.). The orange one had the majority vote until Ted got the pineapple on the last round, and we were all sorry then that we didn’t get that one. Chalk one up for the guy who usually only drinks beer. The food at Panchos was good and portions were large. 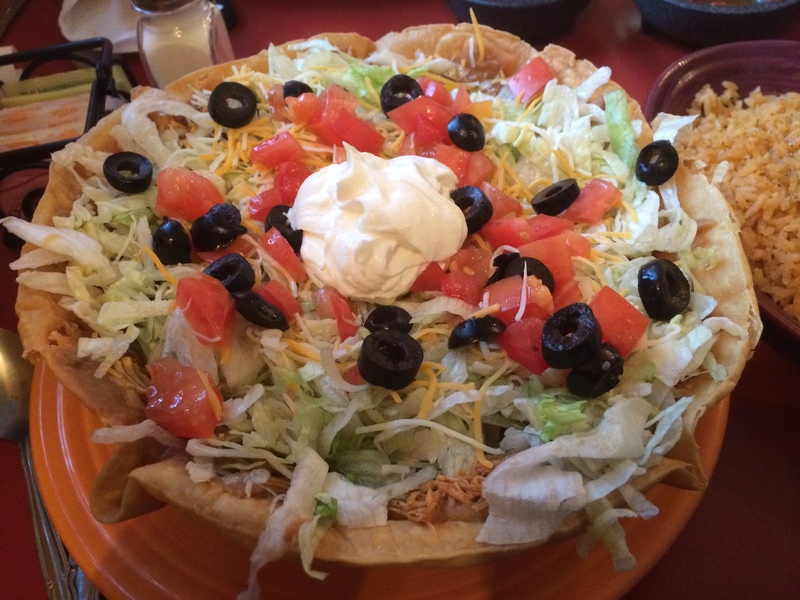 I had the taco salad with shredded chicken, which was mixed with refried beans and spread onto the outer edge of the bowl instead of just dropped by dallop in the middle. I liked that better. But it was frigging huge, so I couldn’t finish it. 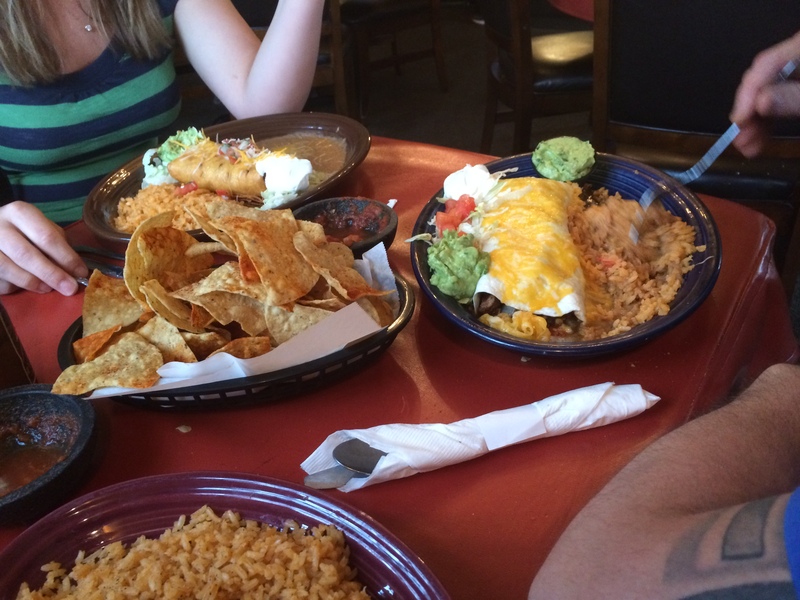 Amanda had the shredded beef chimichanga, which was good but also way too much food for her to finish. Ted had the aforementioned cheese covered chicken grande burrito. 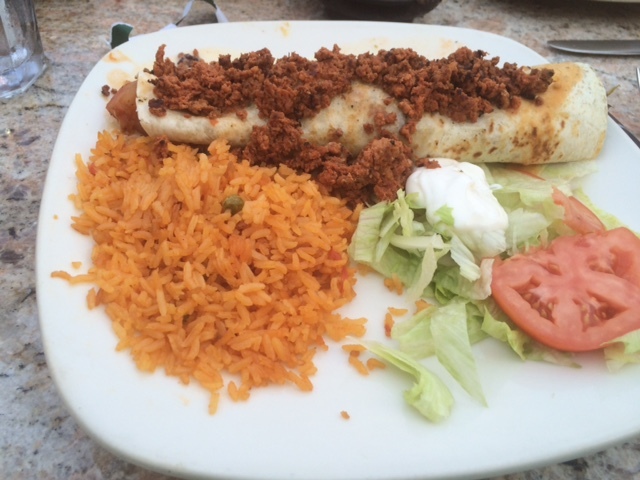 Shane was disappointed that his usual fajita quesidilla wasn’t on the menu, so he asked the server what he would get the most food by ordering … and ended up with a steak grande burrito. I think there was an actual whole steak on the inside. He obviously wasn’t disappointed. And this was after he scraped the cheese off. Chips and salsa were plentiful and quickly refilled. Although word of warning, the chips here are covered in some seasoning, which inspired a lengthy discussion among our group as to what exactly it was. The best we could come up with was that it was “like Doritos but different.” Because I’m sure those are professional culinary terms. In any case, the concensus at the table was that the guys liked them, but the girls didn’t. 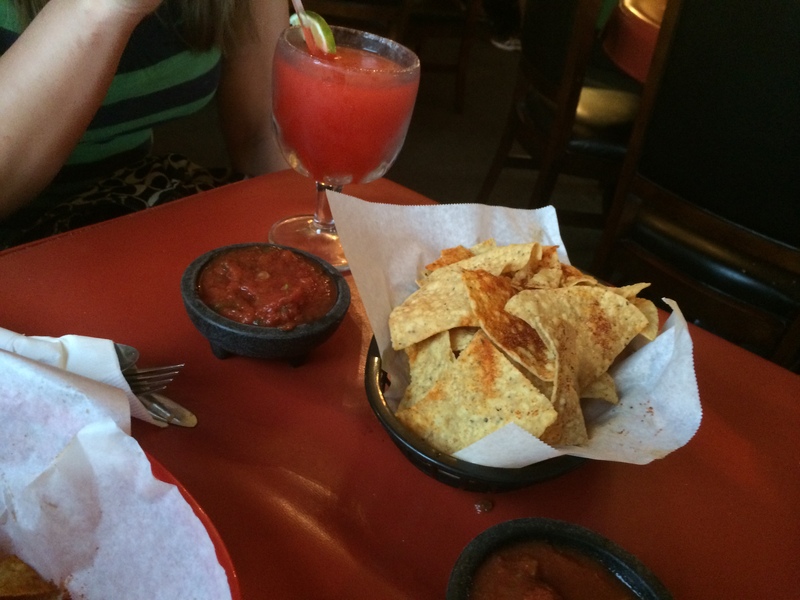 That’s OK, we saved our calories for margaritas. 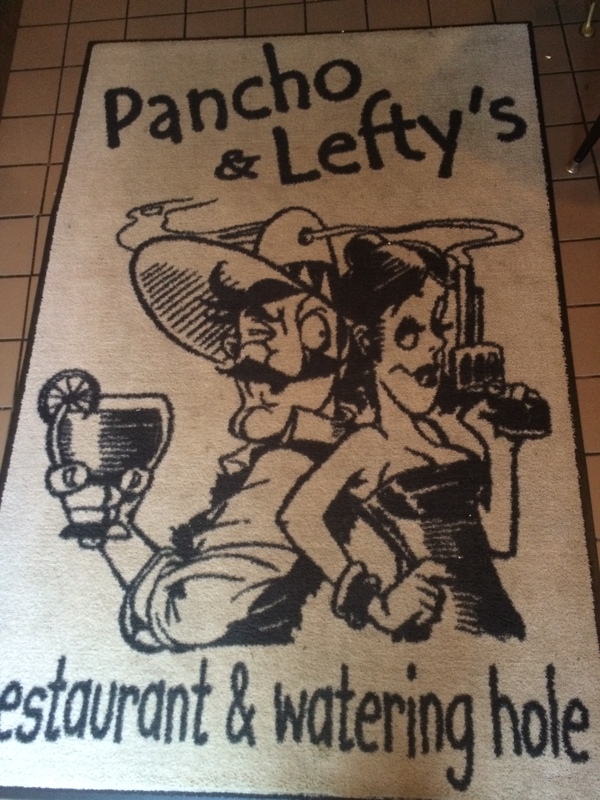 While it’s a little further of a drive than some of the other Mexican places we’ve been to, I’m sure we’ll visit Pancho & Lefty’s again (which, side note, Shane kept trying to call the place Lefty Ponchos. I’m not really sure what to do with that.). If nothing else than for the impressive flavored margarita list, and the excellent service. Case in point, you know you’re in a good place when the server 1) agrees to serve as your group photographer, and 2) even has the good sense to take additional photos when she realized Shane was being stupid. I think she got an extra tip just for that. Oh, those weren’t non-alcoholic margaritas? Weird. 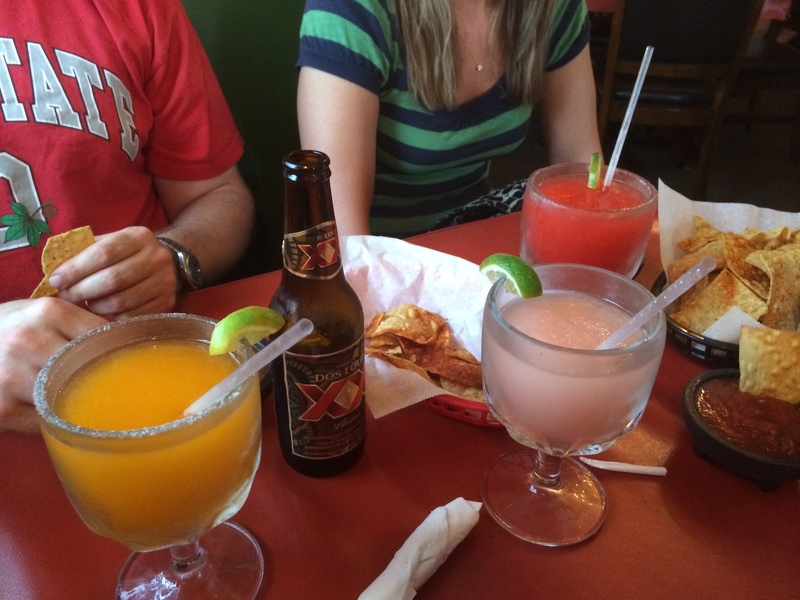 Since it was 8:30 when we left the Mexican place, we decided to stop in at Chelsea’s down the road for one drink on the way back home … where it became evident very quickly that we were clearly not part of the “regular” crowd. Amanda and I also made fools of ourselves waiting for the restroom when there’s more than one stall. That might’ve pointed us out on the non-regular list. We also tried the charging stations at the tables, which would’ve been a nice gesture if they worked. Oh well. Hello, is this thing working? Drinks: The list of margarita flavors is impressive. And you know that because we even got Ted to give up his beer and try one. Go with the pineapple. Trust us. 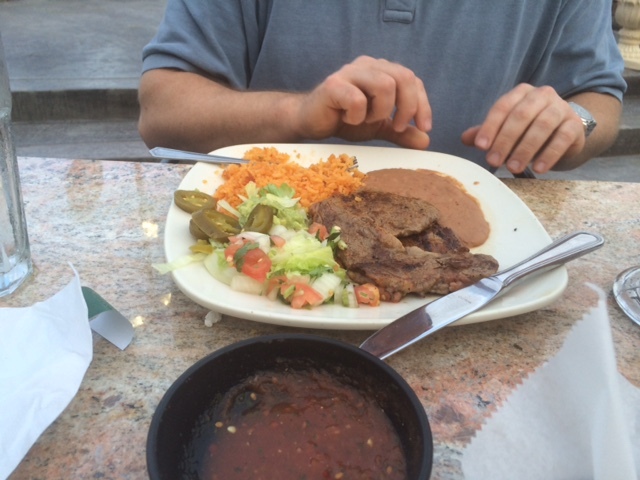 Food: Good.Large portions are par for the course at a Mexican restaurant, and Pancho’s didn’t disappoint. My only disappointment was the chips, although the guys raved about them, so I guess you have to try for yourself and give us the verdict in your house. Service: As I mentioned, any server willing to take extra photos of the group because she realized one of us was being stupid is OK in my book. 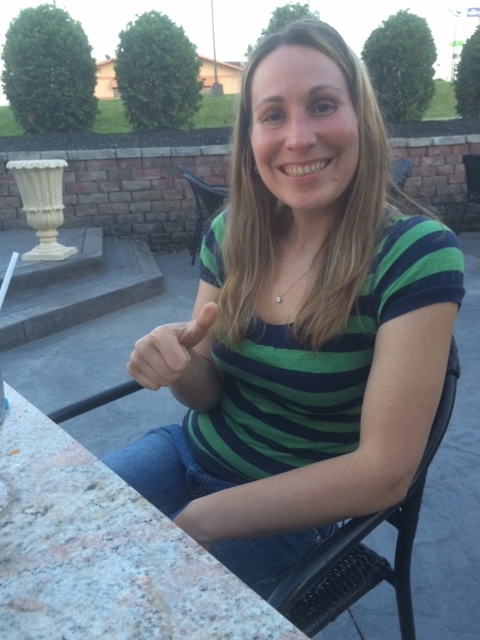 Overall: I’m sure we’ll be back – if nothing else to sit on the patio and drink margaritas. Can I bring my own chips? 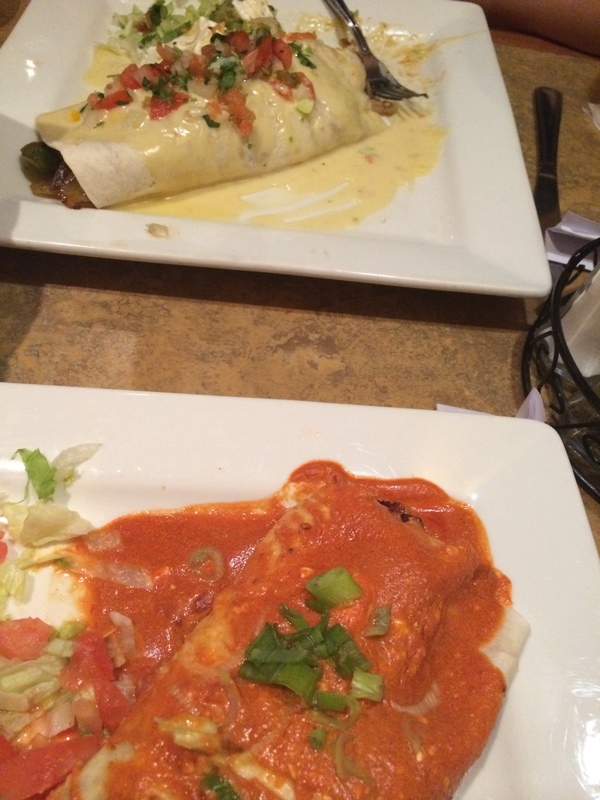 So this week we … well … we ate Mexican food. 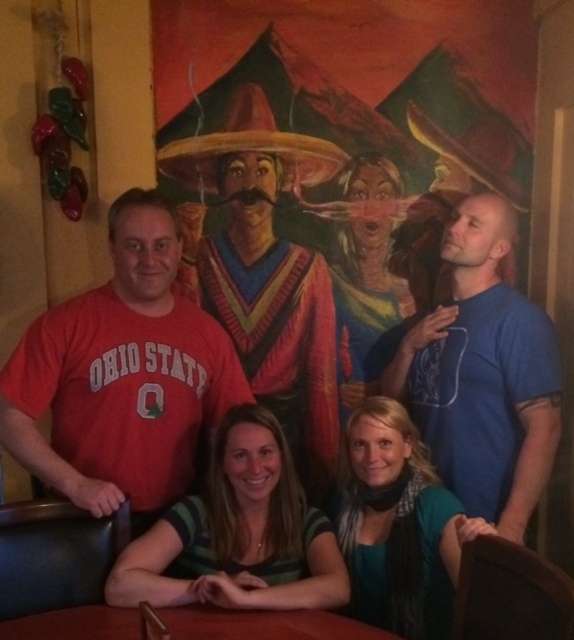 That’s really about all I can say to sum up the experience of this week’s Where To Go Wednesday adventure at El Rancho Mexican Restaurant in Cuyahoga Falls. And that’s not to say that the place was bad – just the opposite, actually, as we all seemed to agree that this was probably some of the best Mexican food we’ve had so far in this area. 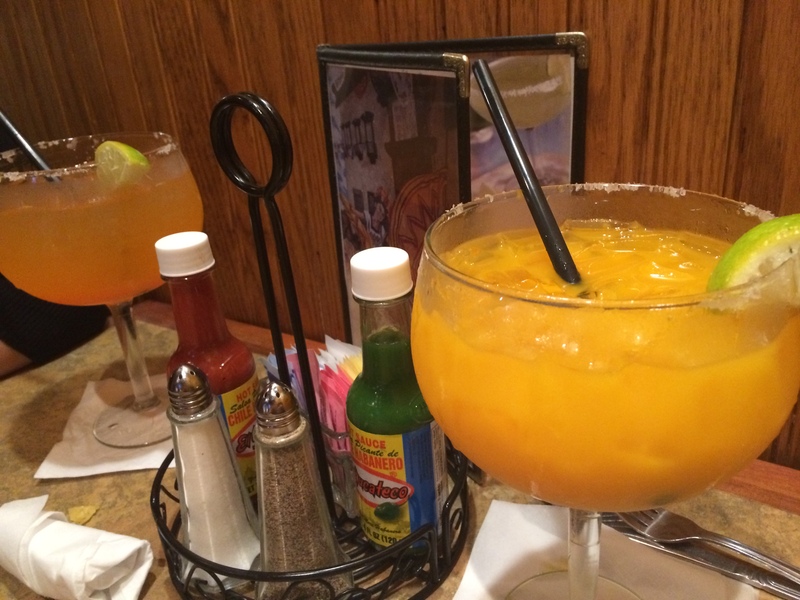 The portions were good, service was decent (we even scored a second basket of chips because too many servers tried to wait on us at once), the margaritas were delicious and gigantic … really, what more can you ask of a Mexican place? But in all honesty, there’s just not much else to tell about our evening. There were no big surprises on the menu, no mishaps with our orders, nothing particular to rave about or complain about, no shenanigans to speak of. We didn’t even take any pictures. For shame! Maybe we were all just having an off night. Or maybe, as with any time we eat Mexican food, we were just stuffed beyond obliteration halfway through our meals and ready for naps. 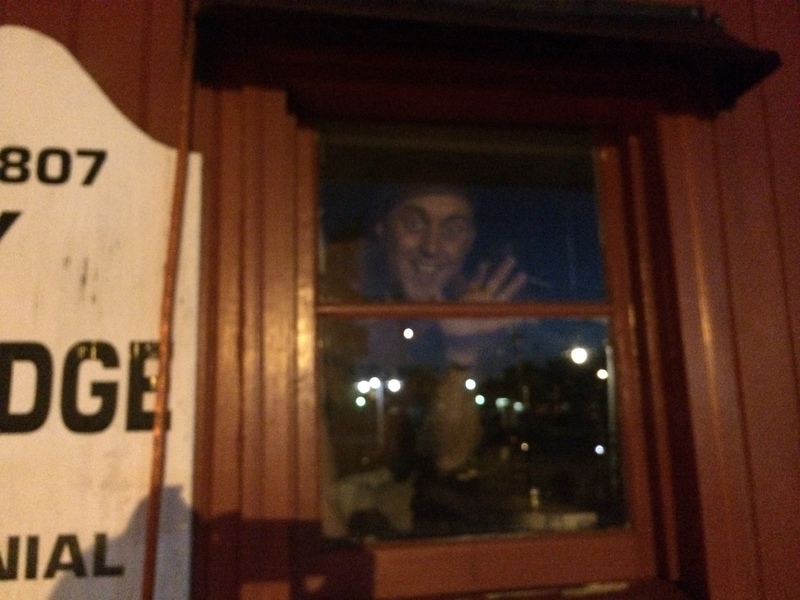 I think this night may have actually gone down in the record books as the earliest arrival home of any WTGW evening – primarily because once we were finished eating there was no way any of us could even think about trying to fit another morsel or liquid into our systems. The only “adventure” on this evening was ensuring we all stayed awake long enough to pay our checks and get home. Crazy, I know. Drink options: We all tried a different flavored margarita – and the mango was voted the best by the group. I would hope as they’re open longer they will start offering better some drink specials. 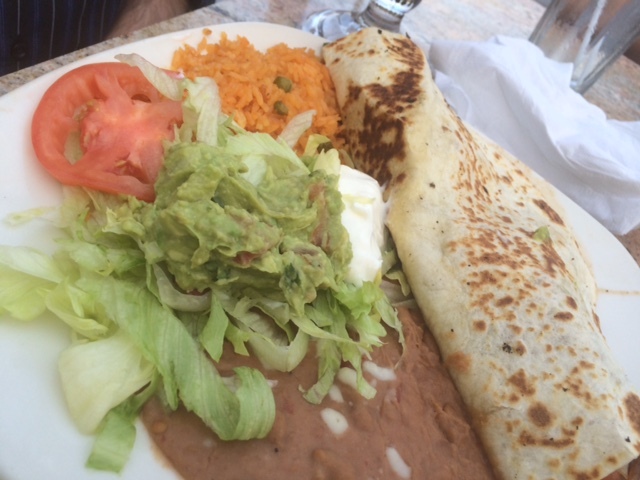 Food: Typical Mexican combos and a la carte items. Good portions, and they definitely kept the chips and salsa coming. Service: Good. Never noticed a wait for a table, and they didn’t kick us out as we were sitting chatting and killing the time before we deemed it acceptable to end the evening without seeming like old people. Overall: Good, just unimpressionable. 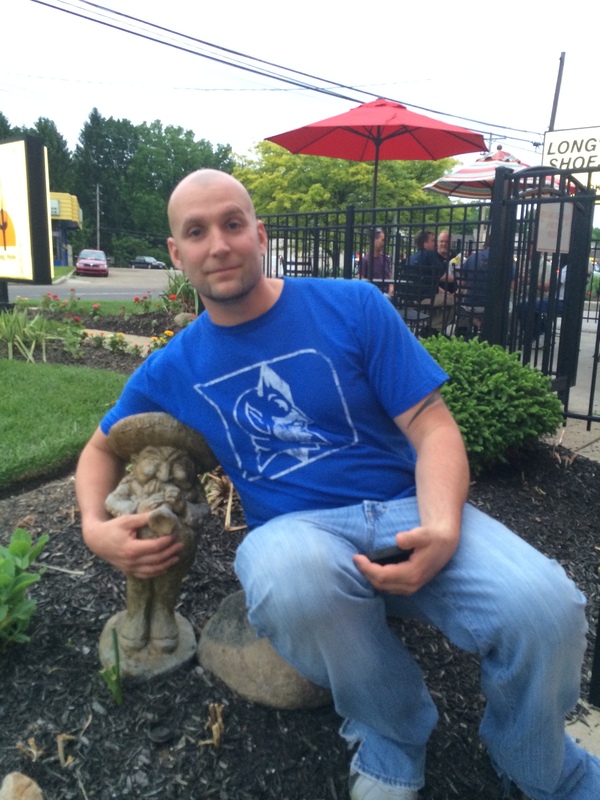 As mentioned, I would be interested to try the place again in the warmer weather when we can utilize the patio.